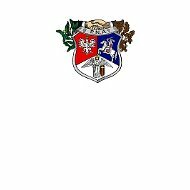 Polish National Alliance of the U.S. of North America Health Insurance Company, also known as Polish National Alliance (PNA) or the Alliance has been around since 1880. NA offers a wide range of life insurance, and annuity products. PNA started as an insurance company offering insurance for those Americans with Polish ancestry and has since opened up to everyone in need of insurance. You can type in your zip code and compare different health insurance quotes to find the one that best meets your individual needs. Since opening their doors in 1880, they have insured almost two million people and today they membership reaches 230,000 men, women and children. This makes PNA the largest ethnic fraternal insurance company in the U.S. PNA has seen only an upward growth since 1880 without any breaks or downward losses. PNA also takes pride in their dynamic team of sales agents. Their national home office is in Chicago. The professionals that work for PNA are proud of offering precise and useful information on annuity needs and insurance plans for their members and potential members. When PNA says it is like belonging to a family they mean it. Not only do they have fraternal programs, insurance and other annuities, but also they have wonderful programs that are very beneficial for members. PNA is the largest ethnically-based insurance company in the U.S. At the end of the year in 1996, PNA had 230,359 policies and 6,873 annuities written in its organization. PNA’s total amount in insurance amongst its members was $721,660,990 and PNA is able to write insurance in Washington, DC and 36 states in the U.S. The combined assets of PNA equal $304,805,343. Formed by Polish patriots, PNA started its organization in both Philadelphia, PA and Chicago, IL. The two cities goals were to unite the Polish community in order to better mainstream themselves into American culture. PNA organized its very own newspaper in 1881, called Zgoda to help promote their cause. In 1885, PNA customized insurance programs to benefit their current and future members. As PNA continued to grow, so did their programs both in terms of material insurance and civic programs. An assortment of programs were established from the 1890s and onwards, which focused on informing members of Polish descent of their rights and responsibilities as American citizens. In order to further their mission, a daily newspaper was established in Chicago, Dziennik Zwiazkowy, which is widely known as The Polish Daily News. Charitable organizations and activities with their members across the U.S. Enter your zip code to find the best health insurance rates for your family and you!